Iceland is temporarily shutting down one of its popular tourist destinations, and it’s apparently Justin Bieber’s fault. According to CNN Travel, the Fjaðrárgljúfur canyon, located about 150 miles east of Reykjavik, will be closing until June, due to damage caused by high amounts of foot traffic. 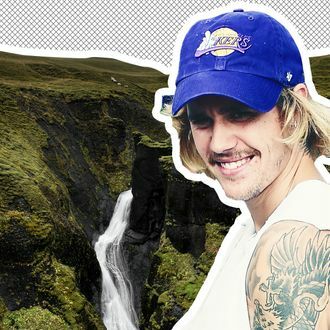 Daníel Freyr Jónsson, head of the country’s environment agency, told Icelandic outlet RUV that he believes Bieber is at least partly to blame, thanks to his 2015 music video for “I’ll Show You,” which features the canyon (and has racked up over 440 million views on YouTube). According to the Telegraph, 150,000 tourists visited the canyon in 2017, and the number increased to 282,000 visitors the following year. However, Inga Hlin Palsdottir, director of the national tourism agency Visit Iceland, told CNN Travel that she doesn’t think it’s fair to blame the environmental destruction on tourists (or pop singers, for that matter). Maybe it’s not too late for Bieber to say sorry.